Are you aware of all the trending health products lately? Here are some of the latest things that are popular now in health and fitness. Below are the products that rank higher in health and fitness on Pinterest. Pinterest has named these products as the most popular new and trending health products for 2018. The Yogi Wheel supports your back for challenging activities in yoga. The perfect design is used to open the hips, back, and shoulder flexors. The wheel also helps loosen tight muscles and enhances poses for a deeper stretch. Don’t miss out on these money-saving opportunities! As a reminder, if you go to the Yoga Outlet site using the link above you can also save by joining Ebates and Swagbucks for free! If you join and opt to have the app on your phone or computer, the Ebates and Swagbucks reminder should always pop up and tell you the percentage off or money back you will get from them. Sometimes you can use one of their coupons on top of the percentage off. With Amazon Prime, you get free movies and tv shows, free two-day shipping, and you can get one free Kindle book a month. It’s a great deal, and I’ve found lots of movies and tv series on Amazon that I loved. The air fryer does precisely what it says! Your food will fry without soaking it in oil. However, if you want a crispy coating, you should spray the food lightly with olive oil. You should avoid using the canned sprays because they include ingredients that can damage the air fryer. Choose a spray bottle like the one below instead. The fryer pictured has seven presets for vegetables, meats, baked goods, cheese, seafood, fries, and more. Click on the photo to learn more. Air fryer cooking is growing in popularity. The cookbook below will get you started. Cook healthy, delicious meals quickly and efficiently and choose from 550 recipes. You can find more healthy food options here. If you haven’t heard, there is a new juicing type trend called souping. Souping is similar to juicing, and it’s good for you because it includes protein and vegetables while avoiding carbs. Many health activists suggest detoxing your body from preservatives, sugar, and carbs by taking up the souping trend. Some people suggest a 3-day detox of eating only soups all the way to a month-long detox. Souping is a lot like substituting smoothies or premade drink products for the convenience of not cooking. I can see the logic of both sides. Healthy cooking requires meal planning, the trip to the grocery store, putting loads of groceries away, plus the time it takes to make soup is usually longer than other meals. My priorities don’t allow me the time to cook soups often, so it seems more practical to buy an all natural ready-made product instead. Then I would have a healthy option on days when there isn’t enough time to cook a healthy meal. Grabbing a bottle from the fridge that I can shake and drink while I’m at my desk or if I’m driving somewhere is an incredible convenience, not to mention a quick warm meal in winter when I am craving comfort meals the most. If you love the thought of making your high nutrient soup, you could replace your mixer, juicer, and chopper with a 1500 watt Ninja Blender and have the ability to do all those tasks with only one appliance sitting on your countertop. Since I’ve been battling eczema and psoriasis flare-ups lately if I’m going to try some detoxing, I would go with the ready-made product below. Either way, if you want a healthier lifestyle, this is a great way to start. Another popular way to do quick and healthy meals is with the $5. A month meal planning service called Emeals. Emeals has a free 14-day free trial, apps for your phone, and they supply a detailed and in order grocery list. Desserts are getting a new do-over with more and more non-dairy dessert recipes available. 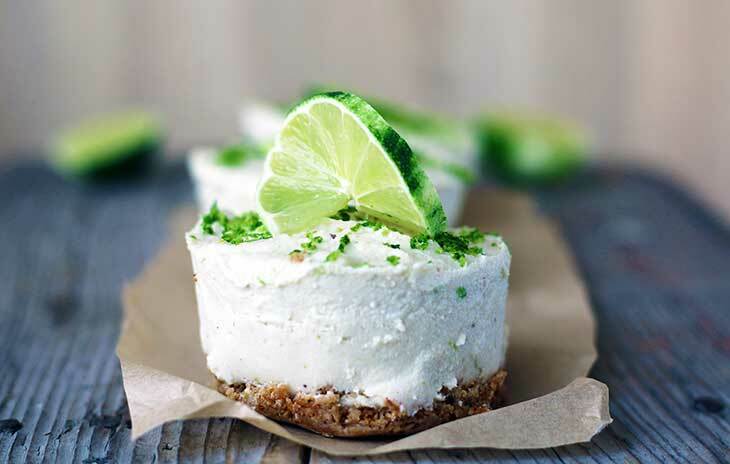 The Key Lime Pie below is non-dairy and looks mouthwatering plus it’s Vegan too! Have you heard of Ghee yet? Apparently, it’s lactose-free butter and reasonably easy to make. Dairy causes problems for so many people, and if you’re one of them, it might be worth checking this out. Don’t feel like making your Ghee? It’s available for purchase at most health food stores. 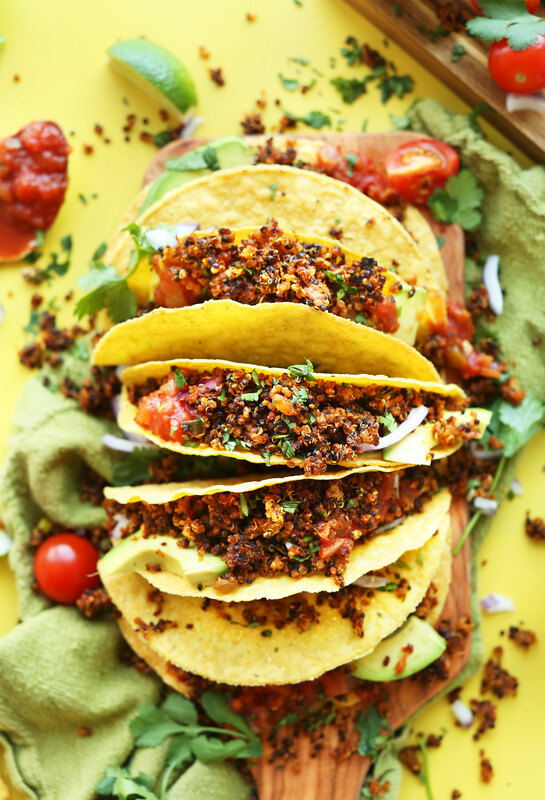 Cooking with Lean Plant Proteins is growing in popularity with vegans, vegetarians and people like me who have a disorder resulting from inflammation. Anti-inflammatory diets suggest cutting out all animal products except fish containing high levels of Omega 3’s. At first glance at the picture below I didn’t notice that it wasn’t hamburger on these tortilla shells. Quinoa replaces the meat for this meal. Also gaining in popularity are the use of lentils and hemp. I know I missed some of the new trends. Otherwise, what do you do to enhance your health and fitness routine? Need one place to keep your lists, notes, and appointments? A boost of encouragement to meet your goals? Bloggers, take notice of these options to make money from your blog. I’ve learned so much from these courses, and they are worth it. As they say, you make money faster by learning how to do something before you do it rather than learning by trial and error. Group Board Master – Teaches you how to skyrocket your page views from Pinterest.